Our Tulsa Functional Medicine clinic provides a wide range of blood sugar control labs. 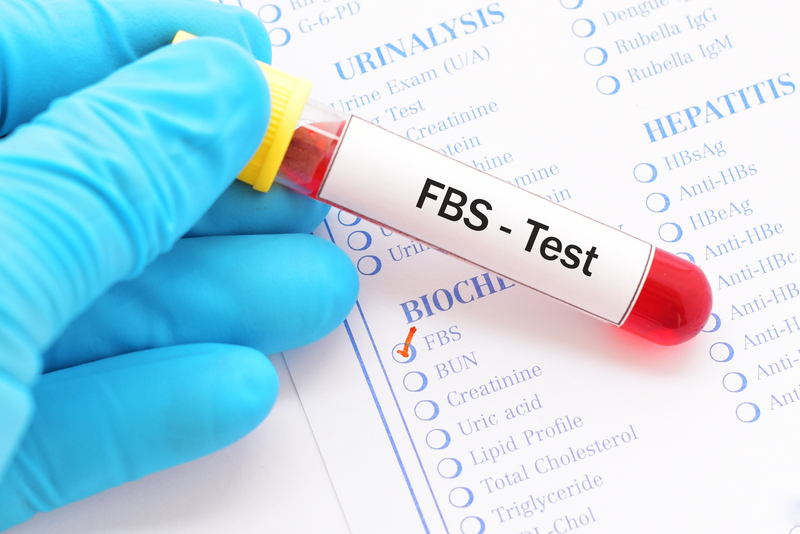 These labs provide a much more thorough evaluation of your physiology and how you are handling and processing blood sugar, insulin, and several other hormones. These blood sugar control labs not only help us understand your blood sugar levels but also your risk for or severity of diabetes as well as what type of diabetes you may have. We’ve had several patients previously diagnosed with diabetes but they were misdiagnosed as to what type of diabetes they had. That is a serious problem as the different types requires dramatically different therapy. 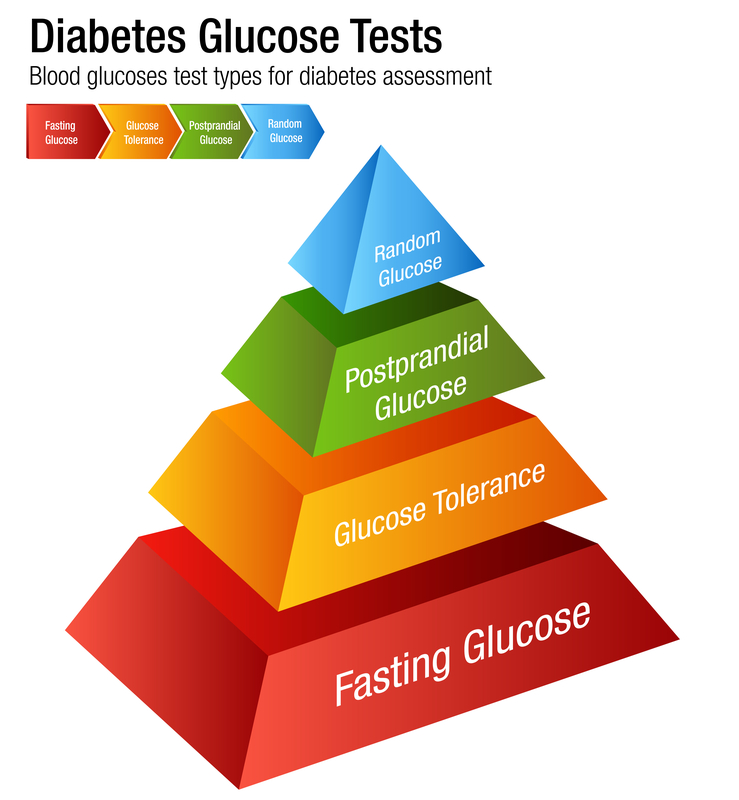 An elevated Fasting Serum Glucose indicates a problem. You can read through the full spectrum of issues on my functional medicine diabetes post. Basically, you want a fasting serum glucose of between 60 and 85. I know that sounds lower than many would suggest. Certainly, I don’t want diabetics this low if they are on insulin because of the risk of going even lower due to the insulin. We recommend that you have your labs drawn fasting and the fasting serum glucose is one of the reasons why. It gives good information about how your body is processing glucose utilization, consumption, and production. 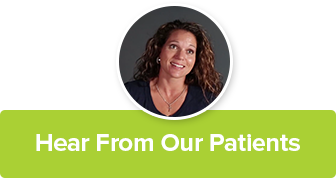 We have multiple patients with insulin resistance and elevated fasting serum glucose levels on a ketogenic diet. They are confused and frustrated because they don’t understand how their blood sugar can be even remotely elevated since they consume so little sugar and carbs. You have to understand that these processes are very complex and not simply a function of how much sugar you consume. Your liver is able to make a tremendous amount of glucose all by itself! If your fasting serum glucose is elevated then we need to work to get it down. There are a number of options but it starts with optimizing nutrition and lifestyle. Second, there are a number of supplements which are very good at optimizing your blood sugar. Alpha Lipoic Acid (ALA) – 600mg twice daily. A controlled release version is much better than the typical immediate release. Glycation is a process within your body where glucose molecules are attached by chemical bonds to proteins and fats. This process occurs all over the body. Glycation is dependent upon the amount of glucose. The higher the glucose, the more glycation occurs. Glycation is very detrimental to your body. It messes up a lot of things in your body and we want as little glycation as we can get. These proteins and fats that are glycated are called Advanced Glycation Endproducts (AGEs). Hemoglobin is a protein which resides in the red blood cells. It is the substance responsible for carrying oxygen through the blood stream to your tissues. It is one of the proteins which can be glycated. One of the primary types of Hemoglobin is HbA1. When blood sugar goes up HbA1 gets glycated. The glycated HbA1 is referred to as HbA1c. Understanding this process, we can correlate HbA1c levels with blood sugar control over the life span of the protein to get a pretty good idea of the level of blood sugar. Red blood cells live anywhere between 70 and 140 days with an average of around 90-120 days. Hemoglobin A1 lives in these red blood cells. Therefore, HbA1c levels give us an estimation of average blood sugar levels over the previous 90-120 days. Results are expressed as a percentage: how much of the Hemoglobin A1 is glycated. The higher the percentage (the higher the A1c), the higher the average blood sugar over the previous 90-120 days. Assuming normal red blood cell production and elimination, the goal for optimal A1c is less than or equal to 5.2%. One possible diagnostic criteria for Diabetes (Type 1 or 2) is an elevated HbA1c – 6.5% or higher. If you understand exactly what is HbA1c then it makes sense that HbA1c could be diagnostic criteria. Pre-diabetes is diagnosed when HbA1c is 5.7% or greater. The traditional medical community added this criteria somewhat recently. Why? Because they found out that if you are pre-diabetic then you have a higher risk of developing diabetes. That makes sense. But why do functional medicine doctors prefer even lower levels of HbA1c? When you consider all of the damage done by these Advanced Glycation End-products (AGE) it becomes clear that we don’t want ANY of them! The more AGEs you have the more damage is done. Clearly, there is a level at which we can’t detect additional benefit. That is why we want A1c levels and blood sugar control at optimal levels. Dr Perlemutter discusses this very issue as it relates to brain health in this post on his website. Additionally, an article in JAMA relates higher A1c levels with cardiovascular disease and noted that risk seemed to plateau at 5% or less. Since there is a linear relationship between HbA1c and serum glucose levels, we can use the HbA1c to determine the Estimated Average Glucose level. 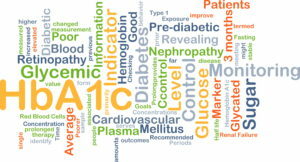 HbA1c is recommended to screen for and diagnose diabetes. 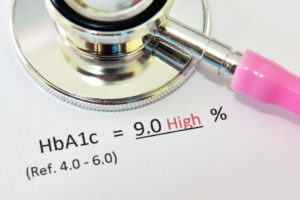 However, studies have shown that blood A1c levels alone may not accurately reflect serum glucose concentrations in all diabetic patients, and a significant portion of HbA1c variance appears to be independent of glycemic control. Shorter-term markers for blood sugar control, such as fructosamine (glycated serum proteins), that reflect average glucose levels over a matter of days to weeks and may be more sensitive to large glucose fluctuations. Plasma concentrations of fructosamine is much more stable than that of glucose and is much easier to measure than average blood glucose. Fructosamine is formed by nonenzymatic glycation (AGEs) of multiple serum proteins, including hemoglobin and albumin, by glucose to form ketoamines. Fructosamine has been used for many years to measure the sum of glycated serum proteins (the most common of which is albumin), most with shorter half-lives than hemoglobin, thus providing an indicator of blood sugar control over a 2-3 week period. Hence, fructosamine can be useful for detecting hyperglycemia over a shorter period than the approximately 3 month period measured by HbA1c. Fructosamine levels can be used to predict a HbA1c. The glycation gap is the calculated difference between the actual measured HbA1c and HbA1c predicted by the fructosamine level. The glycation gap may be useful in identifying individuals at particularly high risk for developing hyperglycemia-mediated end-organ damage. 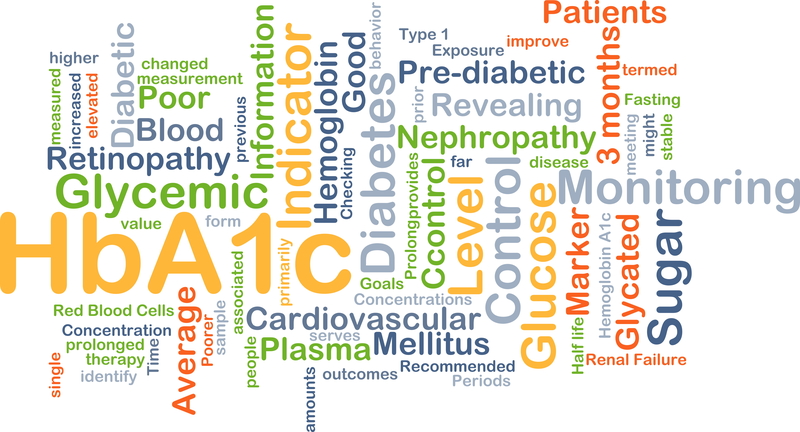 It is well recognized that among individuals with equal degrees of hyperglycemia determined by HbA1c, some individuals may be at more or less risk for developing diabetic nephropathy or retinopathy. The Glycation Gap appears to be determined by yet unknown genetic and/or environmental factors that influence an individual’s susceptibility to tissue injury from non-enzymatic glycosylation. positive when HbA1c is higher than expected (based on fructosamine levels). The direction and magnitude of the glycation gap is remarkably consistent over time within individuals, and both are independent of changes in glycemic control. While the mechanisms responsible for the glycation gap are not completely understood, it may, in some cases, correlate with inter-individual differences in red blood cell lifespans as well as glucose gradients across the red blood cell membrane. There is evidence from twin studies that 69% of Glycation Gap variance is inherited, in part overlapping with the heritable portion of HbA1c variance, while fructosamine variance is not. 1-5, Anhydroglucitol (1,5-AG) is a naturally occurring dietary monosaccharide with a half-life of 1-3 days. 1,5-anhydroglucitol is particularly sensitive for detecting brief episodes of hyperglycemia that may occur in predisposed individuals following ingestion of meals containing carbohydrates. Changes in circulating 1,5-anhydroglucitol levels reflect recent changes in blood sugar control more accurately than hemoglobin A1c or fructosamine. 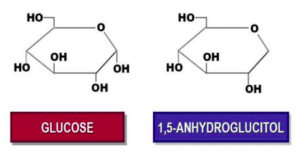 Structurally similar to glucose, 1-5-anhydroglucitol is acquired from many different foods (soy, rice, and pasta are particularly rich in 1,5-anydroglucitol with smaller amounts found in meats, fish, fruits, vegetables, tea, milk, and cheese. Specific biological activities of 1,5-AG in the body, if any, are unknown. 1,5-AG levels remain very stable in the body, undergoing little or no appreciable catabolism and achieving a steady state between ingestion and urinary excretion with the total body pool maintained in the 500-1000mg range. In the kidney, nearly the entire filtered load of 1,5-AG undergoes tubular reabsorption via a specific fructose-mannose active transporter. 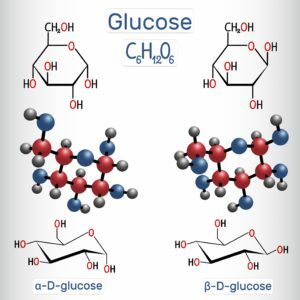 When glucose levels are elevated above the renal threshold for glucosuria (~180 mg/dL), tubular glucose concentrations rise and compete with 1,5-AG for absorption by the tubular fructose-mannose transporter. This results in decreased tubular reabsorption, increased urinary excretion, and reduced plasma concentrations of 1,5-AG. 1,5-AG responds sensitively and rapidly to changes in serum glucose, reflecting even transient elevations of glucose within a few days, and with degree of change depending on both magnitude and duration of hyperglycemia and glucosuria. Circulating 1,5-AG is NOT affected by hypoglycemia. 1,5-AG levels less than 10 mcg/mL are considered abnormal. Circulating 1,5-AG reflect every acute hyperglycemic “spike,” even those occurring in the fasting state. Several studies have demonstrated the ability of 1,5-AG to differentiate diabetic patients with postprandial hyperglycemia from those with normal prandial glucose, despite similar low-normal HbA1c levels. 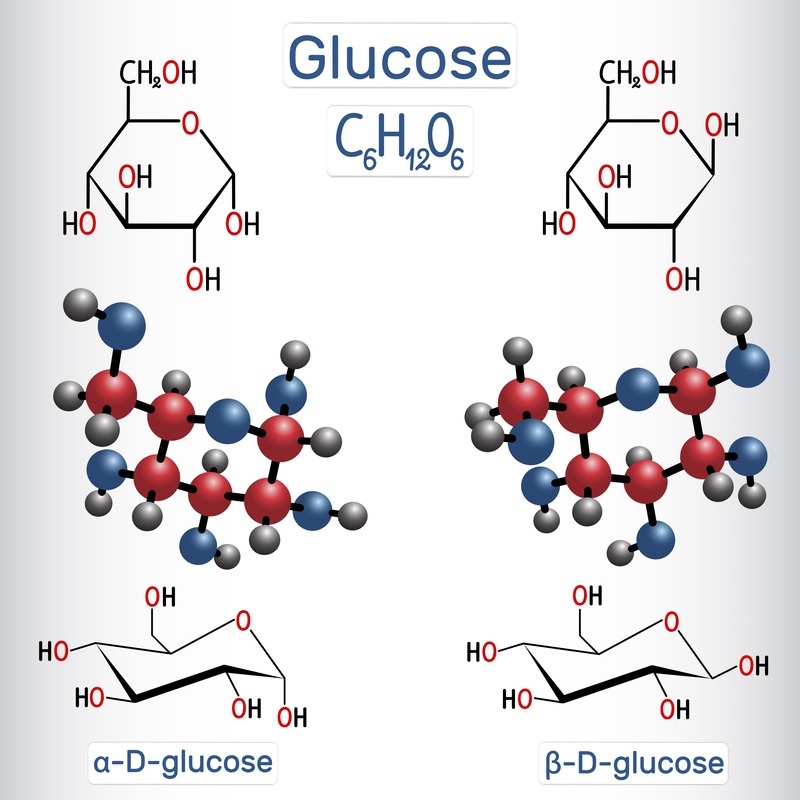 The PPGi is a calculated index that is inversely proportional to 1,5-AG, making it directly proportional to other biomarkers of hyperglycemia such as HbA1c, fructosamine, and 2 hr glucose on the oral glucose tolerance test for blood sugar control. PPGi levels < 6.0 are typical for individuals with good glycemic control (e.g., HbA1c ≤ 5.6%), whereas individuals with known prediabetes or type 2 diabetes (e.g., HbA1c > 5.7%) typically exhibit PPGi levels > 7.9. Nevertheless, the relationship between PPGi and HbA1c can vary substantially between individuals based on their individual fasting glucose levels and the frequency and severity of their episodes of post-prandial hyperglycemia and blood sugar control. Individuals in the intermediate risk range (i.e., PPGi of 6.0-7.9) with normal fasting glucose (< 100 mg/dL) and HbA1c (≤ 5.6%) most likely have “isolated” post-prandial hyperglycemia and are at greater risk for diabetes. The PPGi is useful in assessing blood sugar control in regards to glycemic variability in individuals with normal or near-normal HbA1c levels. By uniquely monitoring hyperglycemia when serum glucose exceeds the renal threshold, even transiently, it identifies the ~40% of moderately-controlled patients (HbA1c between 6.5 and 8.0%) who’s blood sugar is elevated in the postprandial period. Additionally, it can identify individuals with completely normal HbA1c who have poor control of postprandial glyucemia. Glycemic monitoring for blood sugar control is of paramount importance for adjusting and optimizing treatment. Once blood sugar control is optimized, serum 1,5-AG levels slowly recover, and may take up to 5 weeks to recover fully in patients with the poorest control. Importantly, monitoring 1,5-AG levels can identify the effects of treatment of postprandial glycemia that are missed by HbA1c alone. Serum 1,5-AG improves with therapies that target glycemic variability and can be used to monitor therapeutic management of postprandial blood sugar control, with drugs that might include pioglitazone, metformin, GLP-1 agonists, and DPP-4 inbibitors. Improvement of 1,5-AG has also been shown to predict maintenance of glycemic remission after short-term insulin therapy in patients with newly diagnosed type 2 diabetes. As a good measurement of average daily maximum blood glucose, the PPGi may also be used to monitor therapeutic effects of lifestyle changes for blood sugar control, and help reinforce adherence to dietary and exercise plans. A low glycemic index diet may be particularly effective for improving PPGi in individuals with near-normal HbA1c. NOTE: Although appropriate for use in patients with chronic kidney disease stages 1 through 3, we should use caution when interpreting 1,5-AG levels for blood sugar control in patients with advanced liver disease or chronic renal failure (creatinine > 1.5). In addition, 1,5-AG levels could be falsely lowered in patients taking acarbose, an α-glucosidase inhibitor because it could reduce 1,5-AG levels (and increased PPGi) by interfering with the intestinal absorption of 1,5-AG. By measuring these blood sugar control labs we can achieve a very comprehensive level of understanding of your unique physiology in regards to blood sugar control.. We can then tailor our therapy based on these results enabling us to achieve the goal of optimizing overall health.